In addition to its rotation of special exhibitions, Woodmere Art Museum in Chestnut Hill maintains a collection of more than 3,000 works of art that tell the story of the art and artists of Philadelphia. To share some of the newest additions to this assemblage of great treasures, Woodmere presents three exhibitions that focus on the growth of the collection: Just In: Recent Acquisitions in the Collection of Woodmere Art Museum (January 26-March 17, 2013), including works acquired by Woodmere over the last two years, by Pennsylvania Impressionists, Arthur B. Carles and his circle, and contemporary abstract painters; Objects of Desire: Philip Jamison Collection (January 26-May 5, 2013), celebrating the Philadelphia collector’s dedication to artists of the region and his transformative promised gift to Woodmere; and Philip Jamison Watercolor: The Spirit of Chester County (January 26-May 5, 2013), an accompanying look at Jamison’s own majestic watercolors of rural Pennsylvania. In addition, Woodmere invites audiences to view its Online Collection(www.woodmerecollection.org), a project launched in December 2011 that seeks to digitize the institution’s 3,000-plus artworks. 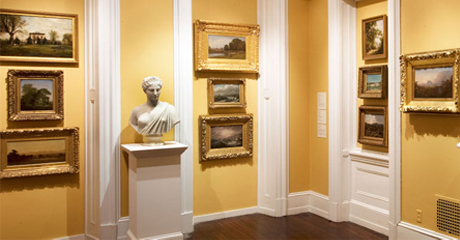 The Online Collection, made possible through a two-year, $60,000 grant from philanthropist John H. McFadden in honor of Marguerite and Gerry Lenfest’s support of Woodmere, makes the Museum’s collection, including works that are not currently on view in the galleries, accessible to audiences from anywhere in the world. To date, almost 1,400 works of art — including paintings, drawings, sculptures and fine-art objects — have been photographed, catalogued and added to the website. Museum hours are: Tuesday through Thursday, 10 a.m.–5 p.m.; Friday, 10 a.m.–8:45 p.m.; Saturday, 10 a.m.–6 p.m.; and Sunday, 10 a.m.–5 p.m. For more information, visitwoodmereartmuseum.org or call 215-247-0476. Over the last two years, the Museum’s holdings have grown significantly. To that end, Just In: Recent Acquisitions in the Collection of Woodmere Art Museum focuses on several active areas of collecting and promised gifts, among them works by Pennsylvania Impressionists; Arthur B. Carles and his circle; and contemporary abstract painters. Artists represented in the show include Carles, Jan Batzell, Bernard Badura, William Breckenridge, Quita Brodhead, Amanda Bush, Albert Gold, Elaine Kurtz, Roy C. Nuse, Violet Oakley, Bill Scott, A.K. Stoddard and Francis Tucker. Philip Jamison is not only an artist but also a passionate art collector, dedicated to artists of Philadelphia and the region. His interests include realism and narrative arts as well as the evolution of modernism. The exhibition Objects of Desire: Philip Jamison Collection celebrates Jamison’s transformative promised gift of almost 100 works of art from his collection to Woodmere. Featured artists include William Baziotes, Harry Bertoia, Morris Blackburn, Moe Brooker, Arthur B. Carles, Larry Day, Bill Freeland, Earl Horter, Charles Jay, Leon Kelly, Angelo Pinto, Biagio Pinto, Horace Pippin, Abraham Rattner, Warren Rohrer, Benton Spruance and many others. The accompanying exhibition of Jamison’s own work, Philip Jamison Watercolor: The Spirit of Chester County, captures the natural beauty and haunting majesty of rural Pennsylvania, where the artist was born and raised. These exhibitions are accompanied by a related series of lectures (a full scheduled follows below), as well as the exhibition Antonelli Institute: Celebrating 75 Years of Artistic Excellence (January 13-February 24, 2013) in the Helen Millard Gallery. In order to build an international online community of artists and audiences, Woodmere Art Museum’s Online Collection (www.woodmerecollection.org), launched in December 2011, seeks to fully digitize the institution’s 3,000-plus artworks, making the Museum’s collection, including works that are not currently on view in the galleries, accessible to audiences from anywhere in the world. To date, 800 pieces — including paintings, drawings, sculptures and fine-art objects — have been photographed, catalogued and added to the website, which also encourages visitors to leave comments about their favorite pieces. In addition, Woodmere staff members have compiled audio recommendations to accompany select works of art. Woodmere’s core collection includes important paintings by renowned artists such as Edward Redfield, Daniel Garber, Walter E. Schofield, Benjamin West, Frederic Edwin Church, Violet Oakley, Arthur B. Carles and many more. Woodmere’s nine galleries and salons, including a grand rotunda and a uniquely designated Helen Millard Children’s Gallery, provide space for exhibitions and programs that serve the entire family. In the George D. Widener Studio, a converted carriage house, a year-round roster of classes provides outstanding art training to children and adults. 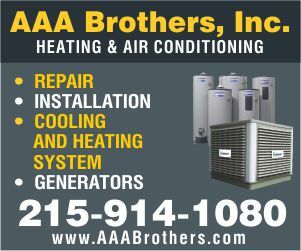 General operating support is provided, in part, by the Philadelphia Cultural Fund. Woodmere Art Museum gave us different and unique prints and nice works of art from his collection. Very helpful to one who is just finding the online resources about this part. It will certainly help educate me.